Our affordable two-bedroom apartment has been freshly painted with a newly renovated bathroom and kitchen. 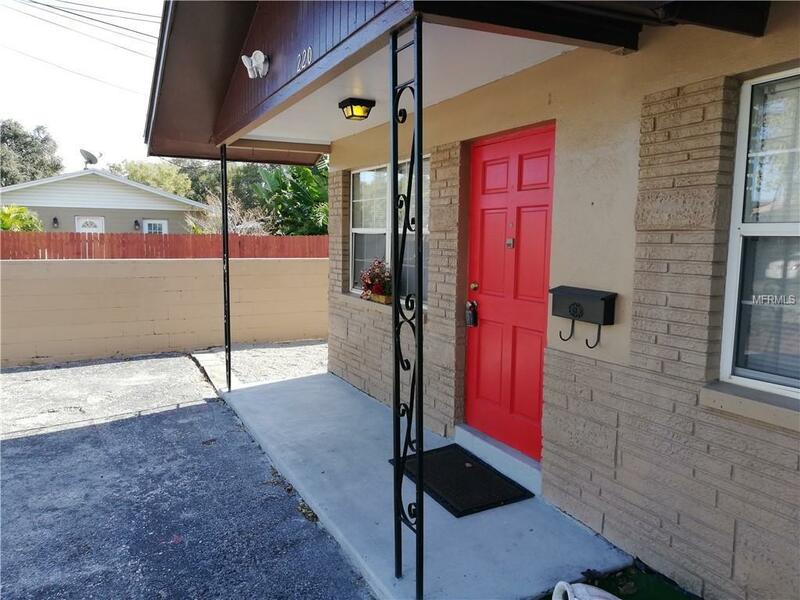 This apartment boasts a kitchen fully equipped with electric appliances, Tile and laminate flooring throughout, central heat and air, a lot of storage space, washer/dryer hook-ups, and a private fenced area in back. The apartment is quiet and bright, and close to everything, gyms, schools, restaurants, stores, the bus line, and gas stations. This smoke free apartment with a no pet policy welcomes you. Rent is $1200/month, and that includes water, sewer and garbage. Section 8 applicants considered. Listing provided courtesy of Coral Reef Realty Fo Tampa Bay.